When DVD of Cake arrived, I was questioning what would be movie be about. Well I had somehow have escaped the hype and hoopla over the film during the last award season and hence didn’t really have a clue of the film as such. The DVD cover features an uncharacteristic looking Jeniffer Aniston. Cake is a movie which deals with the subject of chronic pain and addiction to prescription medicines. 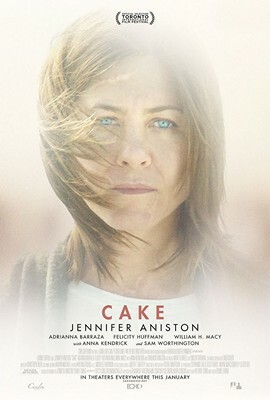 Cake begins with a group therapy where the group discusses the suicide of one of the members, Claire Bennett (Jenifer Aniston) feels that someone who committed suicide was selfish, leaving her husband and child behind. We discover that Claire is a non-working attorney, who is suffering from chronic pain due to an accident. Claire is addicted to her pain killers, and for getting these pills she tries possible means, be it by hook or crook. Claire does not seem to have any companion. Her only constant companion is her maid Silvana (Adriana Barraza). Silvana is a part time chauffeur who drives Claire around, Claire for some reason travels in a reclined seat in her minivan, she refuses to sit up. Claire is not a character whom you will like at first. She is acerbic and rude. At first she seems like she is devoid of any positive emotion. Her kinship with a maid is complicated, it vacillates between companionship and master- servant relationship. It is only later on when we know the reason for Claire’s scar and her addiction the audience start to empathise with her character. Claire’s road to recovery is not an easy transition, it is always one step forward, two steps backward scenarios for her. Jennifer Aniston brings Claire alive to screen wonderfully. Her performance can be compartmentalized into two parts, first that of women who is manipulative, cold and addicted to pain killers. The second part is when we get to know the reason for her breakdown. 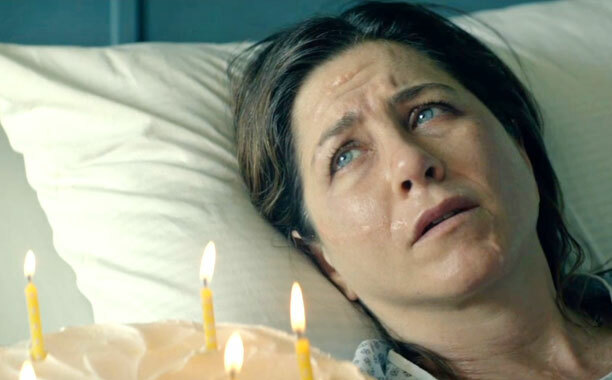 Jennifer Aniston’s breakdown scene when she visits her son’s room is one of the best scenes in the film. Hopefully Jennifer will get to prove her caliber as an actress with more and more roles outside her comfort zone. The DVD of The Cake comes in a plastic case. The 2.40:1 transfer is good. The picture quality is sharp with good shadow detailing. The Dolby Digital sound is effective, with audible dialogues even at low volume. The Many Layers of Cake Learning to live again– This extra feature narrates the story of stuntwoman Stacy Courtney, who had recovered from accident and chronic pain. The Icing on the Cake: Meet the Cast – This is the usual feature where cast talks about how it was great working on this film, most of it is centred on Jennifer Aniston. Overall, do give The Cake a chance, even though it is a let down by the director Daniel Barnz. Jennifer gives one of the best performances of her career and that alone makes it a lazy Sunday watch.